Stylish shoes made of nubuck in the dark blue color. Shoes increase 7 cm. Warning! 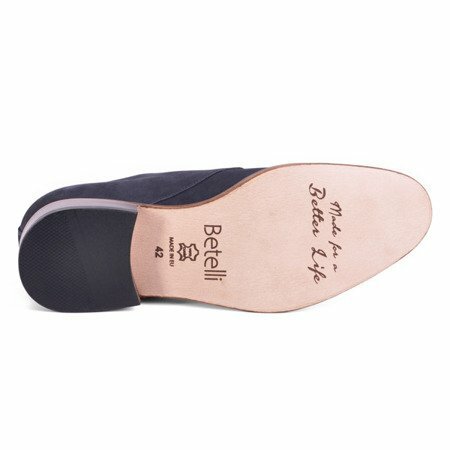 size 44 has a black soles! 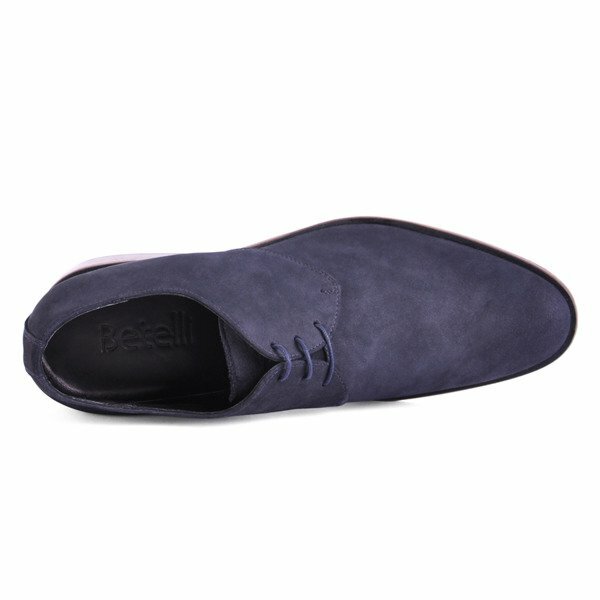 Model Pesaro men stylish shoes with a modern twist. 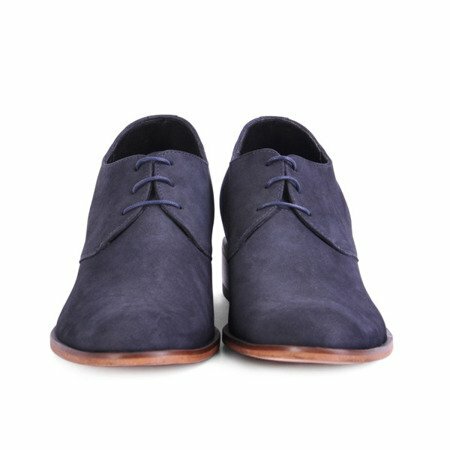 Shoes increasing by 7 cm made of nubuck navy blue, placed on a brown leather sole. 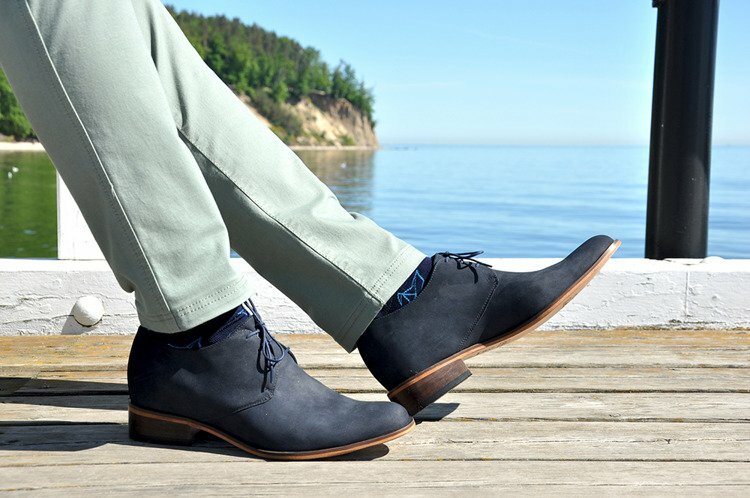 Perfect for every day, to less formal styling. I have always wanted to be 180 cm tall, these shoes allowed me to fulfil my dream.